In our story about the Frederick H. Cossitt Library in Granby, Connecticut, readers are told a little about the life of Frederick Henry Cossitt and how his request to endow two libraries were honored by his heirs, even though there was no legal obligation to do so. At the time of his death in New York City on September 23 of 1887, Memphis, Tennessee was a just a fledgling city without any library. Even though F. H. Cossitt did not provide for the library in his will, he did leave a list of three Memphis businessmen who were to manage the endowment funds and see that a proper library was constructed. Within 6 months of his death, the sum of $75,000. was delivered to these three trustees. Shortly thereafter, the State of Tennessee issued a charter for the Cossitt Library. 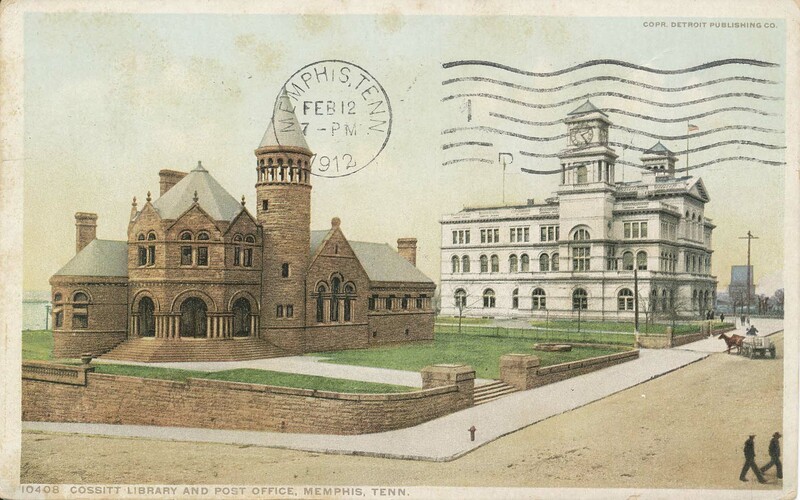 The City of Memphis provided land overlooking the Mississippi River and the $75,000 was used to build a red sandstone Romanesque style building which was designed by L. B. Wheeler of Atlanta, GA. Dedication of the new library was on April 12, 1893. The Cossitt Library still stands today at 33 S. Front street at the corner of Monroe. Due to questionable structural issues, the front of the building was demolished in the late 1950's and a new addition of "modern design" was built. The rear of the original building still overlooks the mighty Mississippi River. The Cossitt Library remained the main branch of the Memphis Library System until 1955. Today it remains open as a branch library that is also used for exhibits of all kinds. Currently, the City of Memphis is trying to cut costs and is considering the closure of several branches of their library and this branch is included in the proposed closure list. 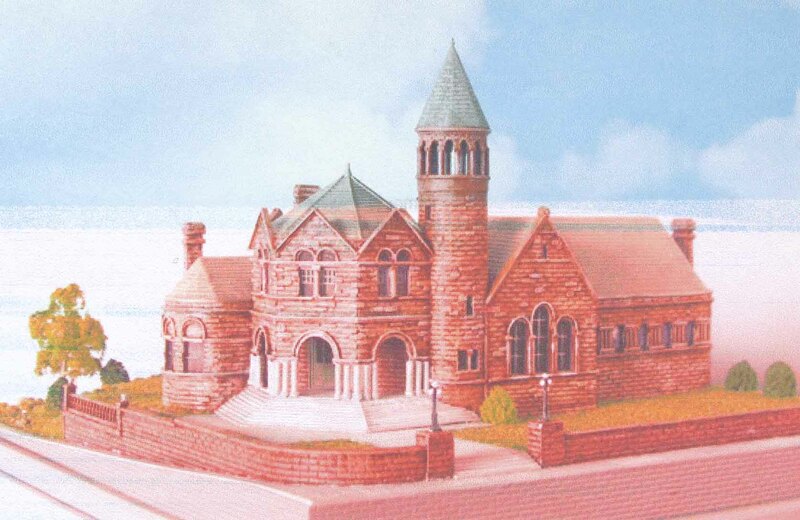 Because of the value of the property that the library is located on, there is always concern that the existing Cossitt Library will be demolished and the land used for other purposes.